Colloidal Silver: The Wonder Cure Time ForgotBook: 11 Pages. ISBN: 1-889887-03. 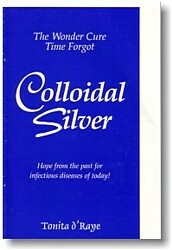 This little handbook documents the history of Colloidal Silver and its role as an exceptional natural antibiotic. It helps the layman to understand colloidal chemistry and the production of colloidal silver today. It also details some of the many established uses for colloidal silver both past and present. 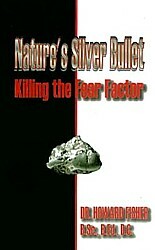 Nature’s Silver BulletBy Dr. Howard Fisher B.Sc, B.Ed., DC. 115 pages.Also available from the author at 416-785-1211. The New Silver SolutionBook: 49 Pages. 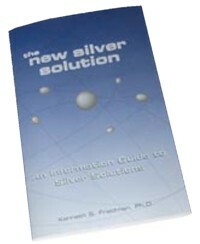 A Complete Information Guide to Silver Solutions by Dr. Kenneth S. Friedman. Please complete the form online and click the [SUBMIT ORDER FORM] button at the bottom of this webpage.